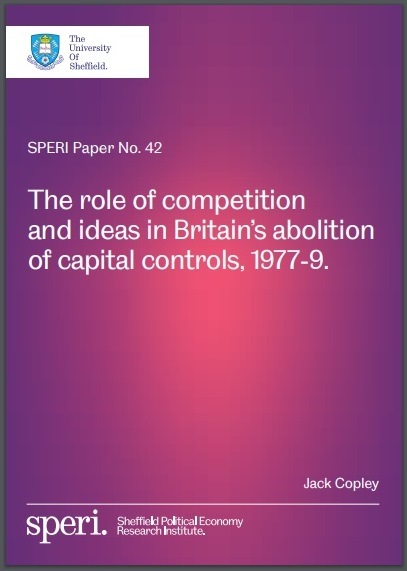 We are pleased to publish a new SPERI Paper by Jack Copley on the role of competition and ideas in Britain’s abolition of capital controls which took place between 1977-9. Download SPERI Paper No. 42: The role of competition and ideas in Britain’s abolition of capital controls, 1977-9. Jack has also written about the abolition of Britain’s capital controls in a new blog for SPERI which you can read here.